Bring spa at home with amazing offerings from Ozomax. 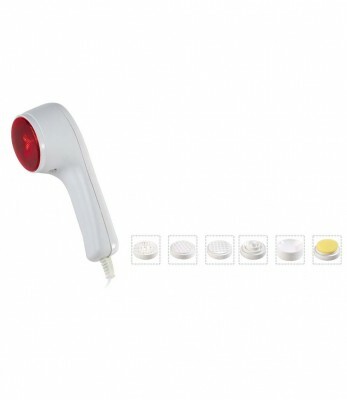 The Dual Speed Infrared Massager gives relaxing massage with/without heat. The massager comes with two speeds and reflects infra-red types of rays for deeper effect. It contains easy to use five different types of attachments for breast, knees, face, scalp, muscles and for acupressure. With its ergonomic design, this one is easy to use and store.